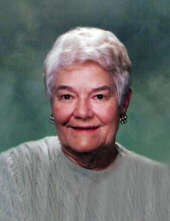 Carol Elliott Green passed away on November 27, 2018 at her home with her children by her side. Carol was born October 2, 1933 in Georgetown, S. C., the daughter of Hallene Miles and Buckie Montague Elliott. She grew up in Georgetown, attended Coker College, and graduated from the University of South Carolina. She married the late Frederick LaFayette Green, Jr. on March 3, 1956 and together they raised six children. Fred and Carol lived in various places in North and South Carolina until they came home to DeBordieu Colony in 1973, and, with their children, proudly enjoyed the distinction of being DeBordieu’s first and, for a while, only year-round residents. Carol started the rental business at DeBordieu in 1974 and was known for her exacting attention to detail, her warm hospitality, and her ability to graciously accommodate any and all requests from homeowners and renters alike. Carol’s beautiful smile and warm brown eyes were her trademark along with her kindness, friendly and welcoming nature, and her deep abiding faith. She was, above all else, devoted to her family, always putting the needs of her husband, children, and grandchildren above her own. She was proud of each and every accomplishment and was the source of all things family for everyone. Her phone rang constantly, and she spoke daily with some combination of children and grandchildren. When she became ill, her grandchildren rallied around her, and she had a loving message for each. She remembered all birthdays and worked hard to make sure that the card she carefully selected was special to the recipient and would arrive in time. She was working on the November and December birthdays when she became ill, shortly before her death. She died much the same way she lived: surrounded and sustained by the love, deep admiration, and loyalty of her children and their families. In her final days, her concern was not for herself, but for those that she cared most about. Carol formed lasting and deep relationships with her many friends and neighbors, as well as the loving caregivers that spent time with her these past few years. She gladly ceded the keys to her car, and a common sight around Georgetown and Pawleys Island was one of her caregivers “driving Miss Carol.” She did not miss a family gathering, even when she was not feeling well, and she was always at the center of every conversation. She is survived by her six children and their spouses, Suzanne and Louis Bledsoe of Charlotte, Fred and Mary Green of Columbia and DeBordieu, Guerry and Fran Green of Pawleys Island, Sandra and Tim Gause of Rock Hill, Jim and Marica Green of DeBordieu, and Lucy and Chris Davis of Charleston. She is also survived by her 17 grandchildren, Carol (and Sean) Jones, Louis Bledsoe, IV, Kathleen Bledsoe, Jennifer (and Derrick) Stipp, Jacob (and Stephanie) Jordan, Laf Green, Amy (and Perry) Buckner, Martha (and Louis) Sabourin, Hayes Green, Guerry Green, Jr., Travis (and Megan) Gause, Lindsey (and Will) Smith, Ryan Gause, Jim Green, Jr., Robert Green, Emma Davis, and Miles Davis, and her three great-grandchildren, Tyler Stipp, Wesley Jordan, and Hattie Buckner. Her brother and his wife, Buddy and Judy Elliott, her sister- in- law and her husband, Snoots and Richard Howard, and her many nieces and nephews and their families also survive her. In addition to her parents, she was predeceased by her loving husband, Fred, and a grandson, Jonathan Tyler Green. Carol was a friend to all sorts of pets during her lifetime, but her favorites and most loyal were her Boykin Spaniels, Ginger and Rick, who predeceased her, and her loving and loyal companion, Sassy, who was also at her bedside during her final illness. The family is especially grateful to her loving, gentle, and kind caregivers, Monica Sherald, Carolyn Williams, Cynthia Mazyck, and Phyllis Gibson. Services to celebrate Carol’s life will be held on Saturday, December 1 at 1:00 PM at All Saints Church, Waccamaw at Pawleys Island. Burial will follow the service in the church cemetery. Officiating will be the Reverend Edward T. Keleher and the Reverend Timothy Surratt. There will be a reception after the services in the Acts building adjacent to the church. Friends are invited to join the family at a casual reception on Friday, November 30th from 6:00-8:00 PM in the Grill Room at the DeBordieu Clubhouse, 908 Bonnyneck Drive, Georgetown, SC. The family requests that, in lieu of flowers, contributions in Carol’s memory be made to Tidelands Community Hospice, 2591 N. Fraser St., Georgetown, SC, Boykin Spaniel Society, 2337 Broad St, Camden, SC, or a charity of the donor’s choice. To send flowers or a remembrance gift to the family of Carol Elliott Green, please visit our Tribute Store. "Email Address" would like to share the life celebration of Carol Elliott Green. Click on the "link" to go to share a favorite memory or leave a condolence message for the family.